Here are several cover songs recorded live from when Parousia played at the Plant 6, located at 3020 Delaware Avenue in Kenmore, NY. 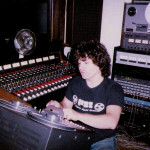 The club was like a second home for our group and we played there many times between August 1980 and March 1982. We found it to be a much nicer club than the Plant 6 on Niagara Street – – bigger, cleaner with a more upscale clientele. 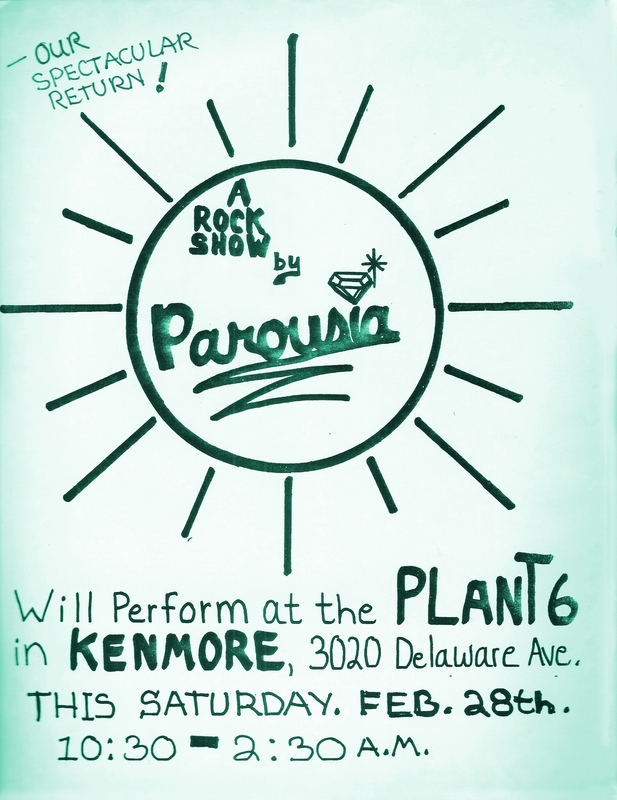 Friday 08/15/80 & Saturday 08/16/80 – First weekend gig at Plant 6 on Delaware Avenue in Kenmore featuring the full 7 piece rock show Parousia. Saturday 02/28/81 – “Our Triumphant return!” Excellent crowd. Tons of people. 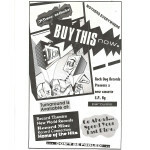 We were on the radio locally and that really helped promote the show. Friday 10/09/81 & Saturday 10/10/81 – Parousia returns for another weekend of rocking Kenmore NY. Saturday 11/28/81 – Saturday after Thanksgiving, an evening with the ‘soothing sounds’ of Parousia. Friday 03/05/82 & Saturday 03/06/82 – One last weekend for the 6 piece Parousia, playing everyone’s favorite covers and mixing in a few original songs too. After a one year break-up in 1982, Parousia reformed as a four piece band to write and perform all original music (no cover tunes allowed) and played three more times at the Plant 6 in 1985. Each performance was a uniquely crafted show with it’s own individual theme starting with ‘Art & Science’ in September and then ‘Time & Space‘ in November and finally ‘Church & State‘ in December. Each of these three shows has it’s own dedicated page on this site with lots of pictures. Parousia at Plant 6 – Saturday November 28, 1981 with Patt Connolly, Eric Scheda, Barry Cannizzaro, Robert Lowden, Gerry Cannizzaro and Garth Huels.